Lynne and Chris have raised five children who are now adults. 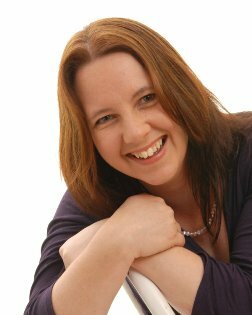 Lynne’s practical experience comes from the quality time spent with her own children. She successfully implemented her All-In Night for over 16 years using simple yet productive activities that included the whole family. She now shares these ideas at speaking events and through her book. All-In Night is a family routine. For one night of the week everyone stays home. By spending ten to twenty minutes together, you can learn and talk about the things that matter. Following on from Lynne’s original book this set of new activities is designed especially with Christian families in mind. An activity or discussion point each week. The book includes 40 weeks of activities, designed as 1 per week of the school year.Activities include love languages, listening for God, self-esteem, the fruits of the spirit and many more. These fun and simple family activities provide an opportunity to grow values, goals, hopes, feelings and the foundation for a Christ led life. All-in Night works with two kids or ten. Let it become the heart of your family’s life. Narelle: All In 2 Night is full of great ideas to help families connect in a meaningful way. The basic premise is that one night each week is prioritised as a family night. The television and technology is switched off to allow the family to communicate and work together through a series of group and individual activities. Many of us live in a fast paced world where it can be hard to find quality family time, and this book provides a framework for families to adopt. The book contains forty activities that are designed to fit in with the Australian school term timetable. There are regular ice cream or other dessert rewards to provide children with participation incentives. The kids each have a work book they can use throughout the year to record their individual activities and responses. Each night has a theme. Different values, emotions and social situations are explored from a Christian perspective. The activities are educational and provide children with important life skills as they navigate the ups and downs of life. The author and her family have included personal reflections in the book to show how the All-In Nights have benefited their family. The All-In Night structure outlined in the book may not be suitable for all families, but the activities and life lessons are useful and can be adapted to suit your family’s unique situation. I recommend this book to parents looking for ideas and ways to communicate more effectively with their children. Natalie Lonsdale is a former Early Childhood Educator who is currently studying to be a Library Technician. Natalie loves children’s literature, photography, travelling, history, and eucalyptus trees. Boondaburra is Natalie’s first book, and she is working on several more. Natalie has a heart to write stories that encourage children to delight in God’s word and in His love. Boondaburra is sad. Why do the other animals make fun of him just because he is different? When tragedy strikes in the Australian bush, Boondaburra learns that being unique has its advantages. Boondaburra is the story of a platypus’ journey from rejection to accepting and understanding his uniqueness, and the friends who come to accept and admire those differences. 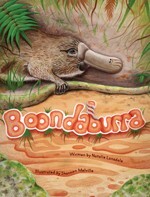 Narelle: I really enjoyed reading Boondaburra. The illustrations are gorgeous and relevant to the action taking place. The story celebrates God’s creation of many different types of animals. At the start of the story Boondaburra struggles with feelings of inadequacy because the other animals treat him like an outcast. A number of native Australian animals are included in the story and they learn the importance of appreciating each other’s unique characteristics. The author’s note at the end provides fascinating platypus facts. I highly recommend Boondaburra to those looking for a fun and inspiring children’s story. 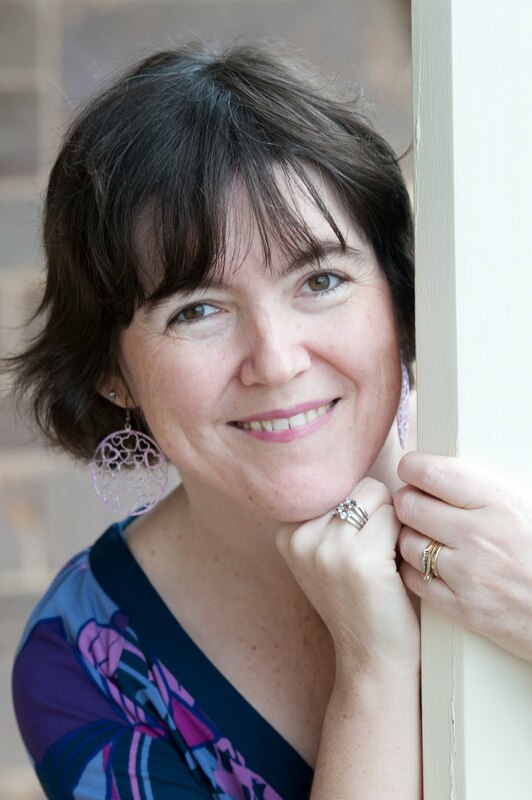 Award winning Australian author, PAULA VINCE, loves to evoke tears and laughter through writing fiction. She has a passion to provide inspiring stories that highlight her own beautiful country. “One terrible decision leads to another and the Parker and Quinlan families find out what it means to be in total despair. In a moment of recklessness, Blake Quinlan does something he never should. The bitter consequences of his impulse will reverberate through the rest of his life unless he learns to deal with his past. Without warning, Claire Parker’s life shatters. One horrific event leads to a choice that she can never forget. She must find a source of strength and forgiveness to help her recover or she will never again be the happy person she once was. 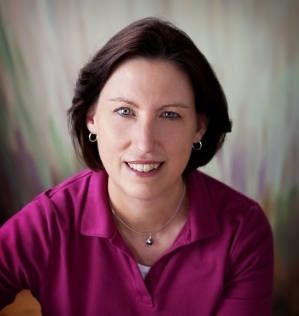 Shirley in Summary: I am an author, registered nurse and cancer survivor (1997). I am also a pastor’s wife. I live in the beautiful Eastern Cape of South Africa with Rob, my husband of well over 40 years, a liely Jack Russell terrior who answers to the name of Zoё, and a hyperactive budgie named Sparkie. Comfort and hope to sustain you through the months ahead. Nothing saps your strength quite like a cancer diagnosis—unless it is the energy-stealing chemotherapy and surgeries you face in your fight against cancer. But you can find hope and strength in the pages of Scripture, and in the experience of someone who has been there. 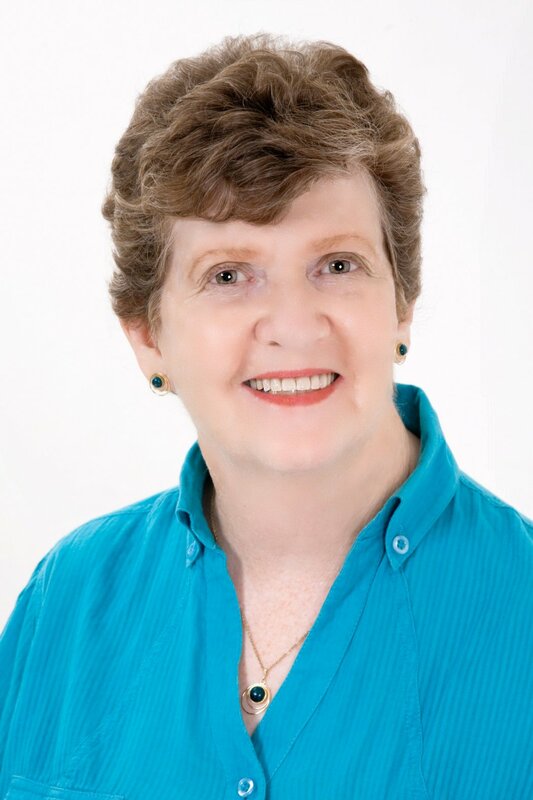 In Strength Renewed, breast cancer survivor and registered nurse Shirley Corder combines her encouraging personal stories with powerful passages from Scripture to help you along the road to recovery. These devotions can be read in sequential order to move you through a typical cancer journey from diagnosis through treatment. But each meditation also stands on its own, so you can go directly to the entry that speaks to your need—right now. You have a partner and a cheerleader in Shirley—and in God—on the rough road ahead. Let Strength Renewed lift you up as you travel. 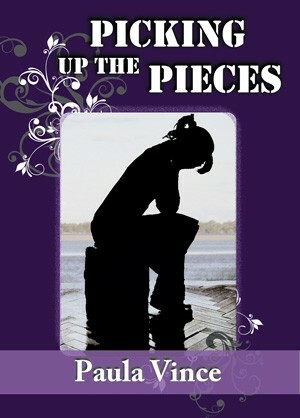 If you are from South Africa, Shirley has a copy of her book to give away to one reader. Just leave a message on any of the blogs that feature Shirley this week and you will go into the draw. Please mention you have a South African mailing address. 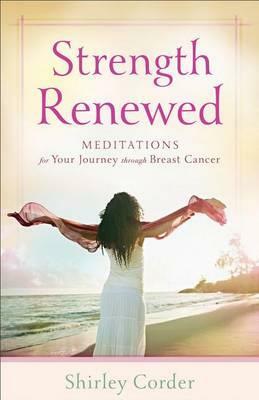 Narelle: Please check out my Book Recommendation for Strength Renewed, posted November 8, 2012.